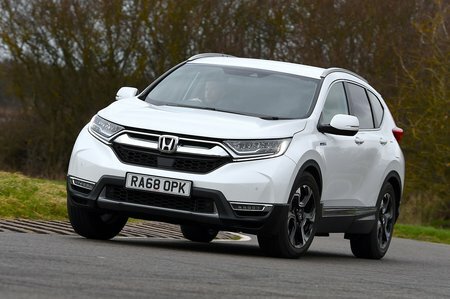 Honda CR-V 1.5 VTEC Turbo SE 5dr CVT [7 Seat] 2019 Review | What Car? What Car? will save you at least £1,282, but our approved dealers could save you even more. SE versions add 18in alloy wheels, automatic wipers, front parking sensors, a rear-view camera, and auto-dimming rear-view mirror, a leather steering wheel, dual-zone climate control, Apple CarPlay and Android Auto smartphone links and in-built sat-nav. It's our recommended option.